A fun yet short Japanese platformer with 5 levels to complete. Collect as many apples as you can in the quickest time possible for the highest score and to unlock the next level. 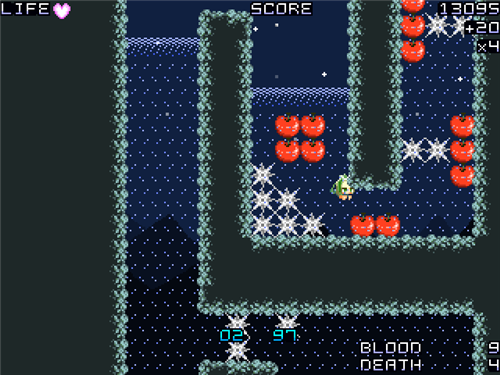 You can bounce on certain blocks to reach higher places and pick up hearts for extra lives. 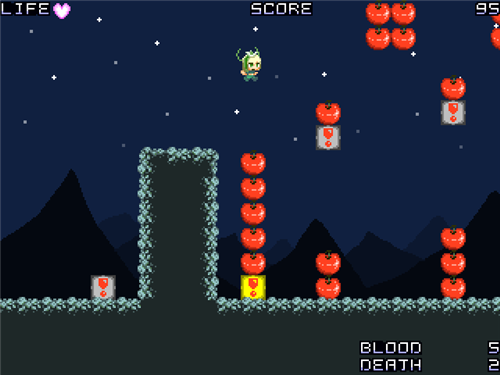 Inferno 3 is a short and sweet platformer freeware game that will keep most amused for a while. The game download is just under the screenshots "＜ダウンロード＞"